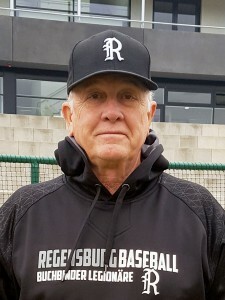 The Buchbinder Legionaere Regensburg added former Major Leaguer Jack Lind to the coaching staff. The 70-year-old US-American played two seasons in the big leagues for the Milwaukee Brewers. With the Pittsburgh Pirates he was their third base coach and infield coordinator between 1997 and 2000. In Regensburg he fills the role of Martin Brunner, who will focus on his new role as coordinator for Baseball Operations Europe with Major League Baseball. Lind is going to be Regensburg’s hitting coach and infield coordinator, as well as assistant coach with their second-division team. Stefan Mueller was promoted to Academy Director after Brunner’s departure.